Thank you, Jasmine! I really appreciate the extra prayer coverage. Yes, you speak truth, Jen. I waver between the two on different things, but there really is no middle ground. Praying for your knees to hold you up on this journey, even as they bend to also hold you up on this journey! I agree, Lisa – no middle ground! Thanks for stopping by and leaving some encouragement here. I’m thankful for the extra prayer coverage, too. Your post describes exactly why I run. I can’t emphasize enough how the 5Ks last year and now the 10K I’m training up for build me spiritually more than it ever has physically. 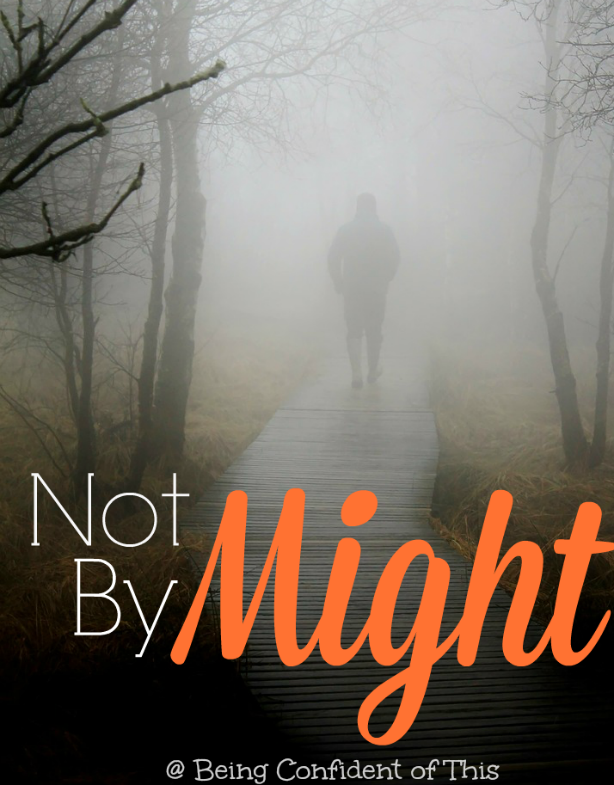 It brings me face to face with God and to pivotal moments of faith crisis: who am I going to believe right now? Which voice dictates my life? Hoorah for this 5K and for your healing, best of luck! Yes, Maria! 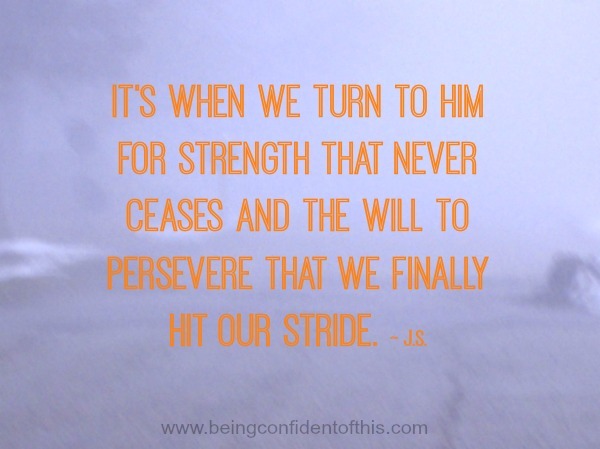 I’ve done a few 5K’s previous to my broken tailbone (mostly walking), but always in my own strength. 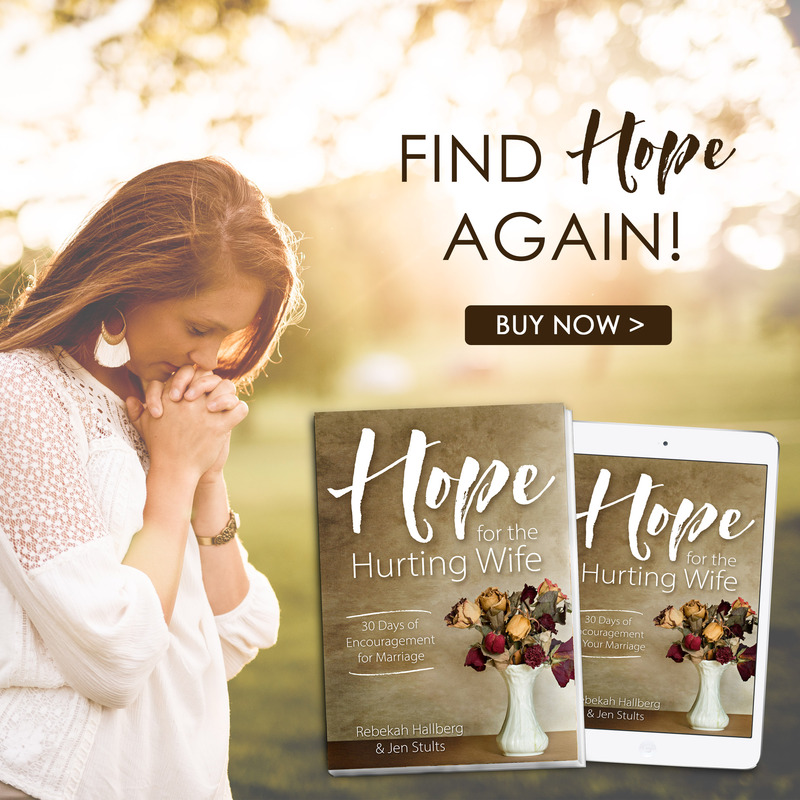 Now I’m learning to lean on Him more – for physical strength, for perseverance, for willpower to say no to junk food… And to listen to the Voice of Truth rather than the Father of lies. Thanks for stopping by to encourage me! What a wonderful story of Christ’s faithfulness. Every day I need to be reminded to lean on Jesus and not my own ideas or expectations. This was today’s wonderful reminder. Thank you Jen! I found you on Grace & Truth, as a fellow blogger. Happy to have you here! 🙂 I really enjoy the Grace and Truth link-up – so many encouraging words to read. Sometimes these things are just as much mental as they are physical! I’m cheering you on, Jen. I have done a few races and some upbeat worship music helps a lot. Please let us know how it goes, OK?! Hi, Laura, thanks for stopping by! Yes, that particular day, I had zero motivation, haha. I’ve been getting in about 3 miles per day so far. My knees are a little sore today, but we walked at a faster pace than normal this morning. Keep praying for them! I’m sure I’ll update after the race, too. Thank you, Ruth! I am well, thanks for asking! I’ve been excited to see my body responding to the more difficult workouts with increased strength. I keep asking the Father to protect my knees and keep me healthy for the race next weekend. I hope all is well with you, too! Hi Jen, I also went over to read the the post you picked for the linkup “Fear of blogging”. It is a good article. Lots of lesons there too. Trying hard to do things, is good but even better is when we rely on God to crown all our efforts with success. 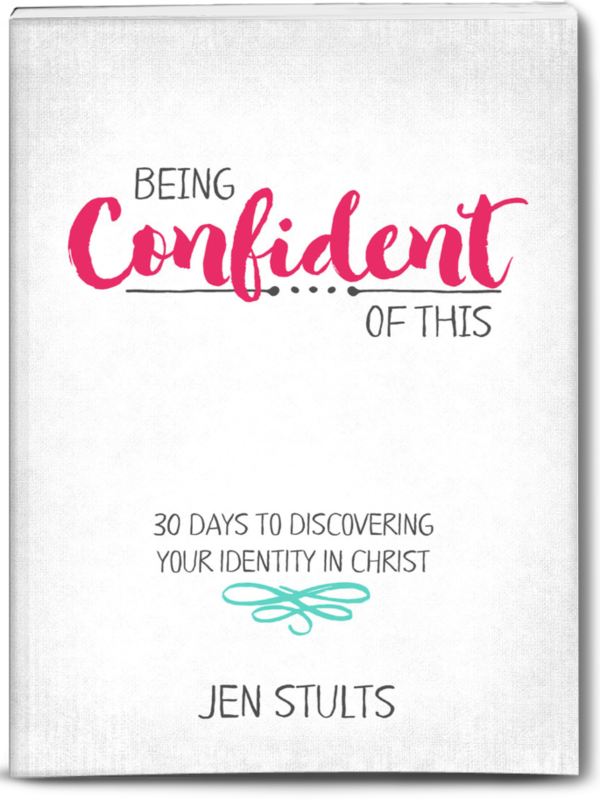 We have more confidence when we rely on God to accomplish the things He has promised us. I pray the Lord strengthens your knees and every area in your life where your need His encouragement. Remain Blessed Woman of God. Ifeoma, you bless me with your words! 🙂 Thank you for stopping by here. Yes, He paves the way, doesn’t he?! This is really lovely. I love how you took us through your hike and that you persevered. What a wonderful reminder to us all that if we just take one step at a time… God has our back and nothing that the enemy whispers to us has to be true – ever. Beautiful. Yes, one step at a time! Thank you for stopping by. This is so fitting. I’ve been through some major changes this past year. Not knowing my future has been difficult. My faith has really been tested. Praying for you this morning, Tami! I just wrote this week on some major changes facing our family. We, too, do not know the future and that’s a hard spot to remain in. Praying strength and courage for the both of us! I definitely think that there is a connection between pushing ourselves physically that helps us push ourselves spiritually! So true! That makes complete sense to me because often the Father has to get my attention by allowing illness in my physical body, too. Thanks for stopping by, Laura!